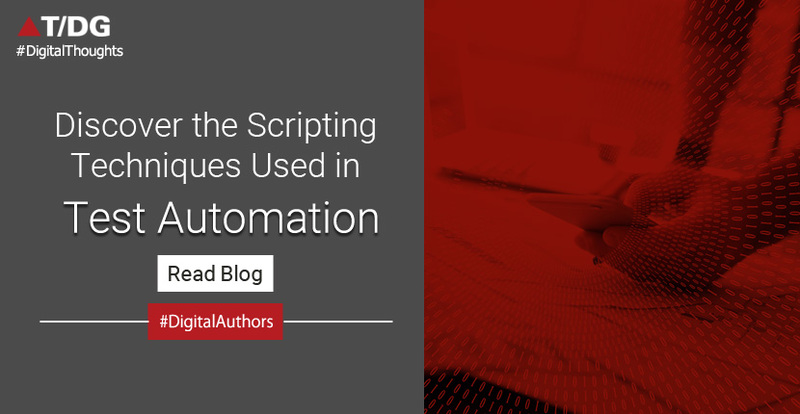 One of the key challenges that test automation engineers face while planning the implementation of test automation is choosing the right test automation scripting technique. Also referred to as test automation framework, a test automation scripting technique is a set of instructions to define the method of testing to be used by the QA team in order to get the pre-determined or expected test results. It is important to note that test scripting techniques are not mandatory for test case execution but they are designed to help testing teams conduct test case executions with higher accuracy and efficiency. Any test automation scripting technique defines parameters like how to treat the object repository, coding standards, and data handling, among others. As the name suggests, these are meant to be followed during the process of creating test scripts. Here we shall look at the 5 important scripting techniques that are commonly used by QA teams for test automation. The linear scripting technique is the simplest of all the scripting techniques and involves a simple ‘Record n Playback’ approach whereby each test case execution is manually recorded step-by-step. So, you have the QA team record every step in the first round of testing and the subsequent round involves playback of the recorded scripts. The structured scripting technique involves the use of control structures like ‘if-else’, ‘switch’, ‘for’, ‘while’ conditions in the scripts that help QA teams to regulate the flow of the test scripts. So, basically the structured scripting technique gives the testers the power to implement decision making in the script. The Data-driven scripting technique is all about separating data from the scripts and storing it into an external repository as files. With this, the script contains only the programmed code and is the recommended approach when testing needs to be done with varied data sets as it does not require modification even if there are changes in the data. This technique is different from the other scripting techniques as it involves sharing of scripts that represent an application behavior. The said scripts are shared amongst other scripts which makes the scripts modular when it comes to common functionality. These scripts can also be used in other software applications. An extension of data-driven scripting technique, keyword-driven scripting technique in which external data files are used to maintain the control to check and execute operations. This technique involves placing the test data and sequence of test on an external data file. There is also the need of an extra library to interpret this data. QARA Enterprise is a new age comprehensive zero coding test automation tool that uses the keyword driven scripting technique. Independent of the Application Under Test (AUT). So, you see that while there are quite a few different test scripting techniques, which one you choose depends entirely on your requirements and testing goals. Different test automation tools use different scripting techniques. So, before you make a choice, consider the pros and cons of each scripting technique. Which one from above do you feel brings the best results? Share your opinions in the comment box below.